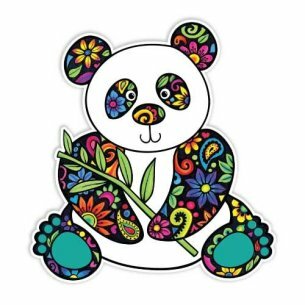 This is a bright, colorful panda car sticker made from my own original art marker and ink drawing. Hand drawn with ink and colored with art markers, this is a one-of-a-kind design you won't find anywhere else. 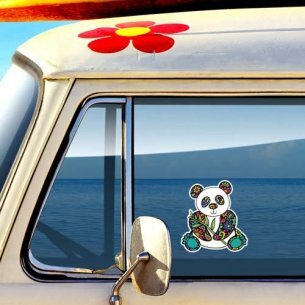 Made of waterproof, durable vinyl, this sticker is perfect for your car, window, laptop, wall, or any other smooth surface!